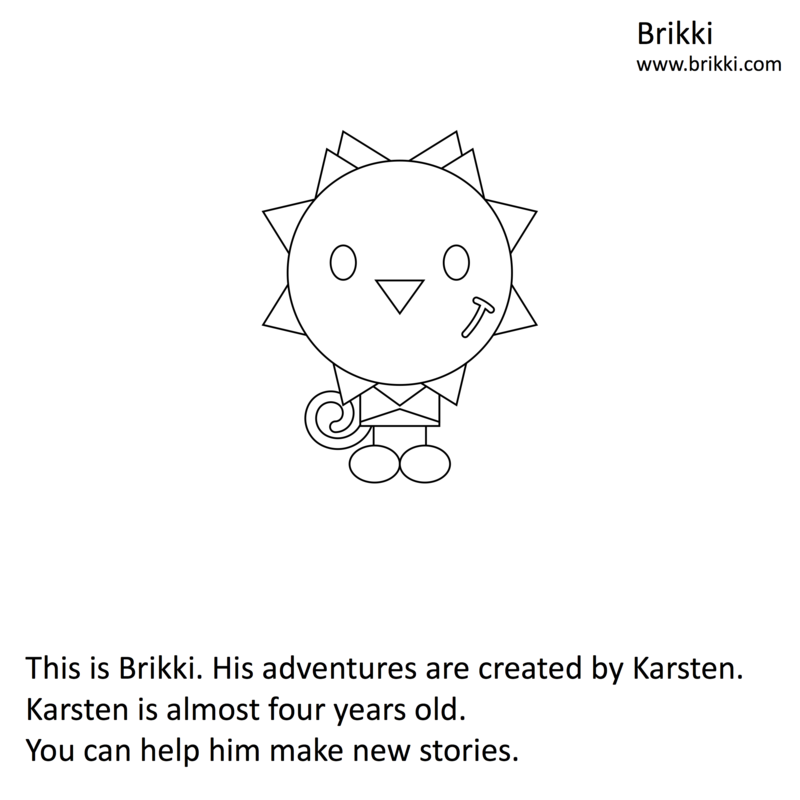 The nice thing of Brikki is that you can create stories as well! 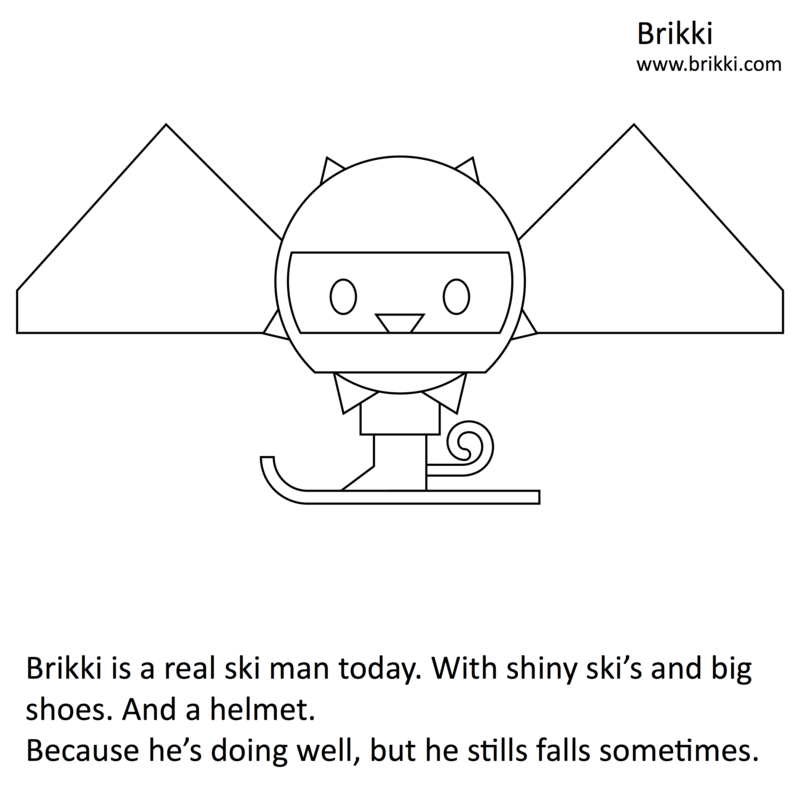 So, do you have a nice idea for Brikki? 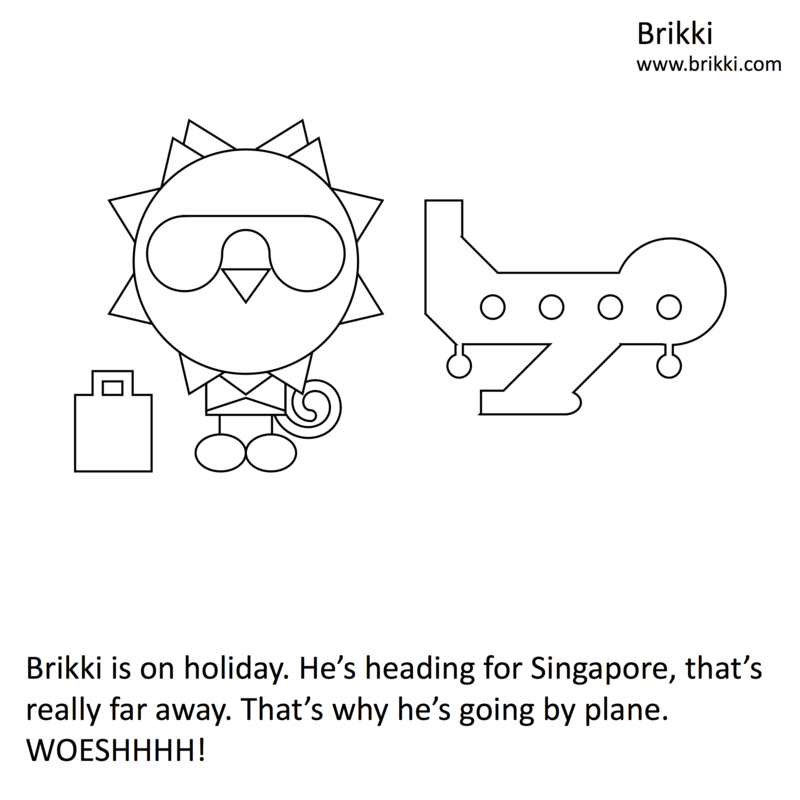 Send it to hello@brikki.com. 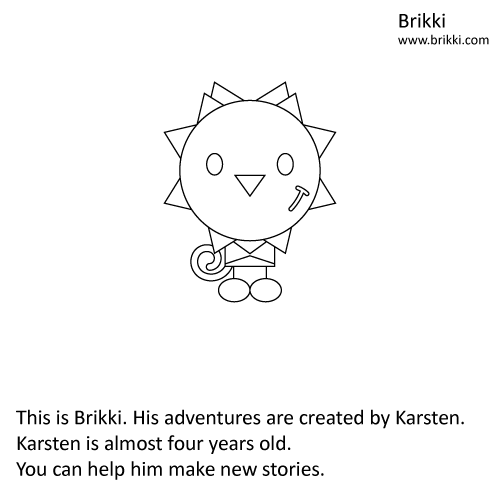 Karsten and Ingmar will turn it into a story. 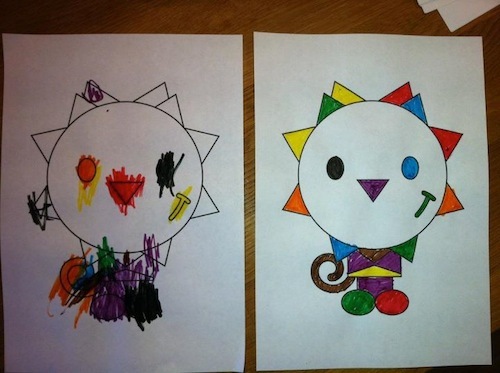 Just like they did with these drawings from other children. 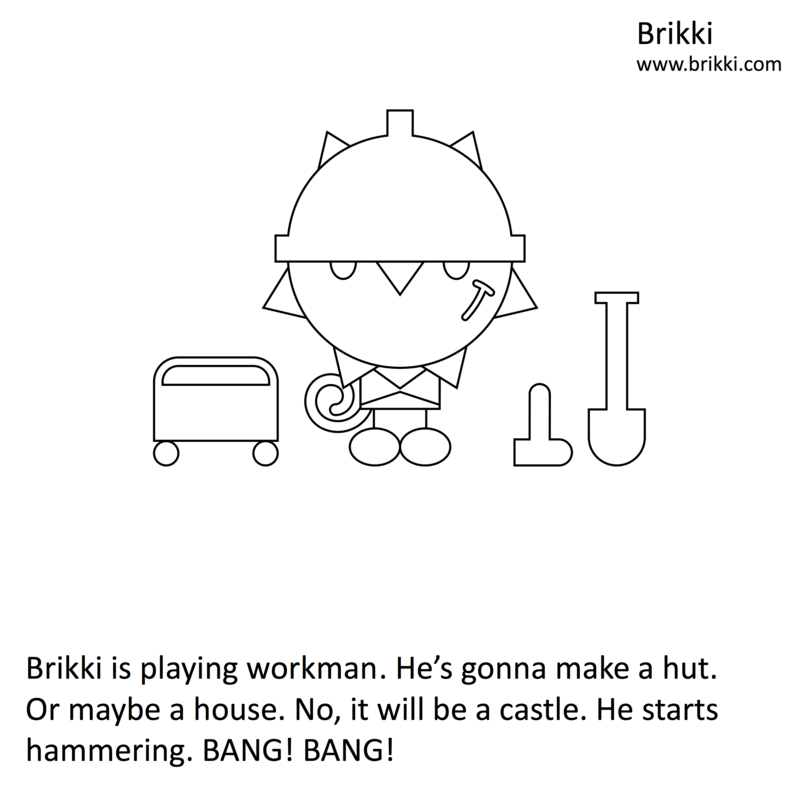 But wait, please read Brikki's rules, before sending your idea. 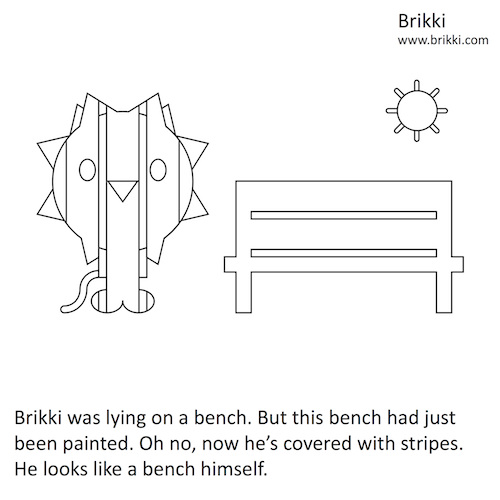 Sometimes, Brikki can be a bit boring. 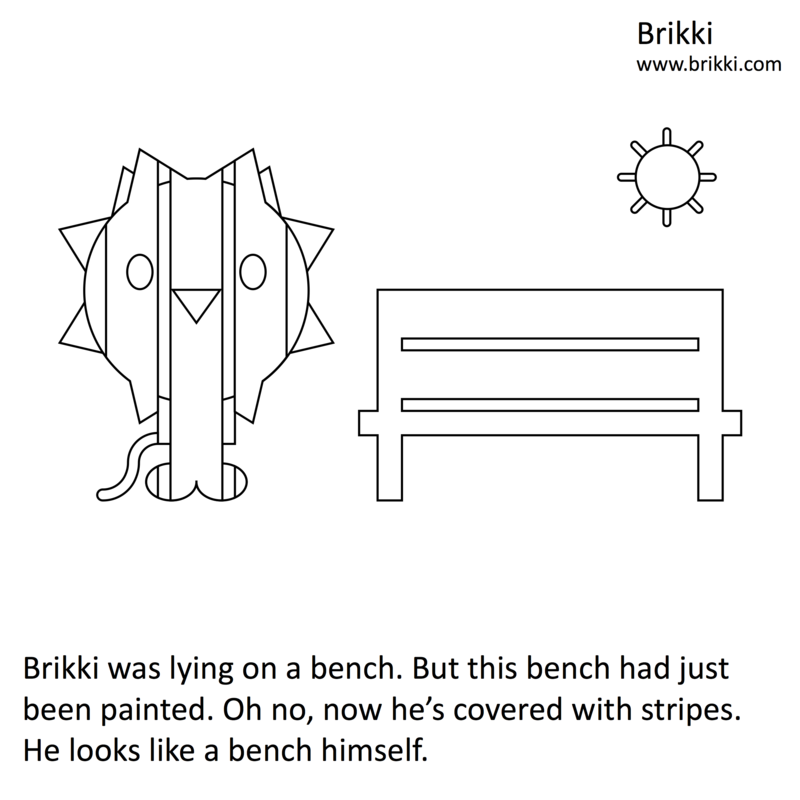 He always wears the same clothes and everything has the same colors. 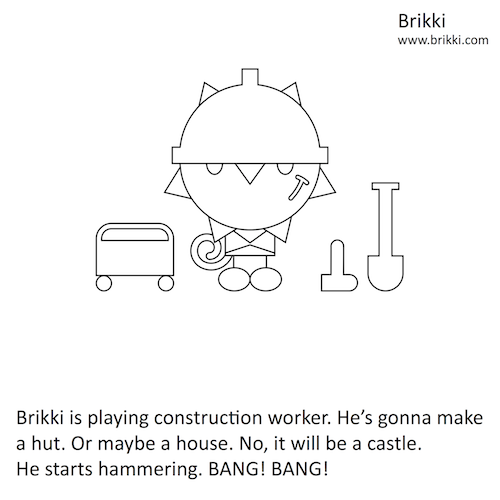 That can be changed. 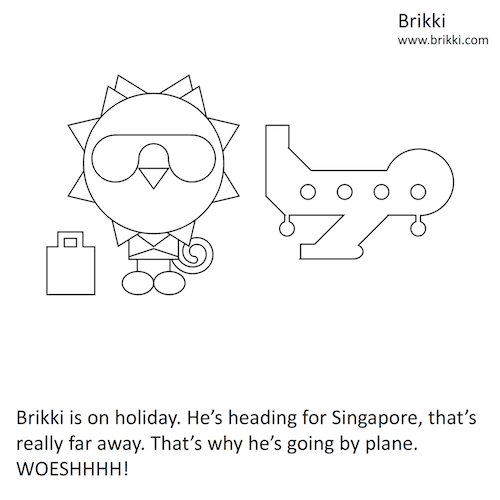 Lets see if a green suit fits Brikki better! 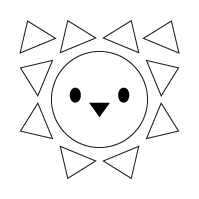 Or maybe purple hair, with a yellow sky? 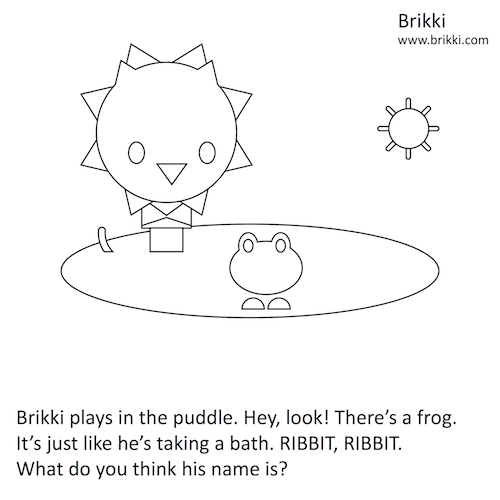 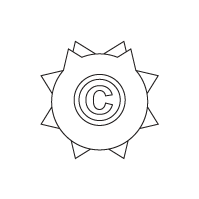 Here are some coloring pages, now you can color the stories yourself! 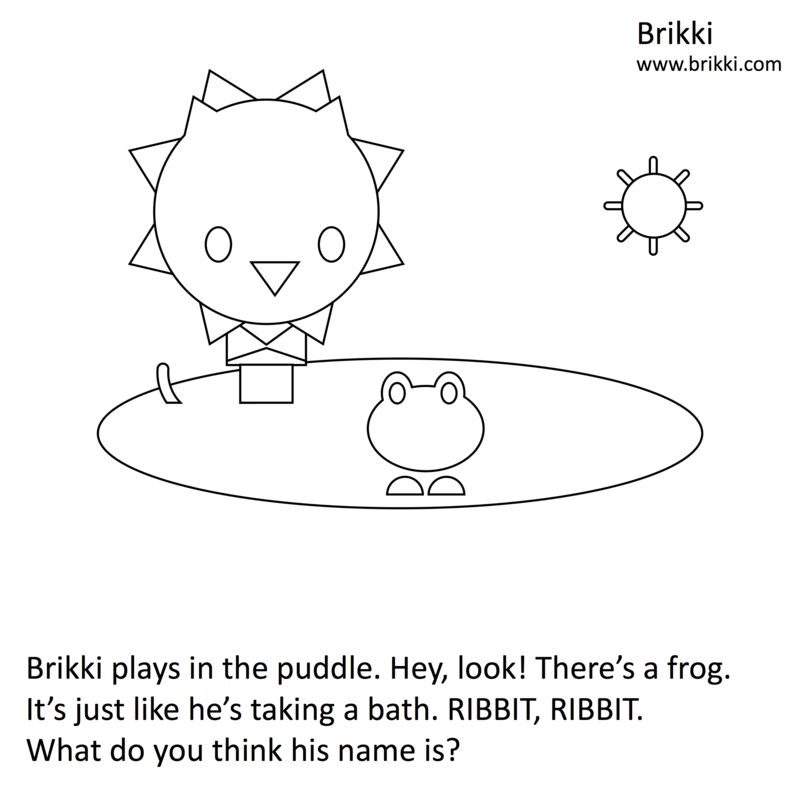 Click on the drawings for a larger version, which you can print out on paper. 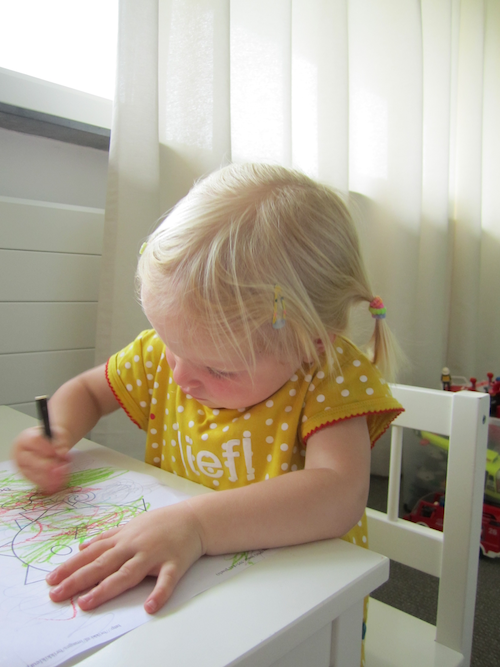 Anna (1 year old) is passionate about colors. 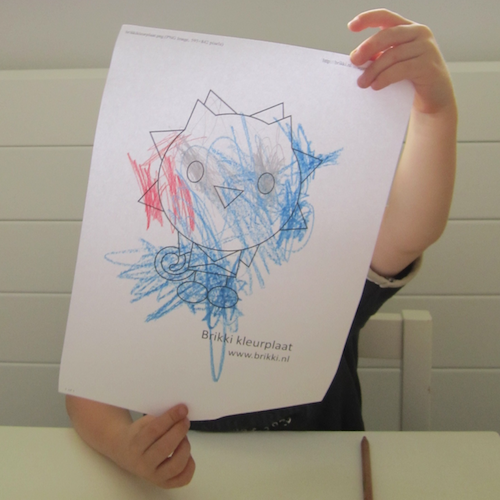 Karsten (3 years old) with his colorful avatar. 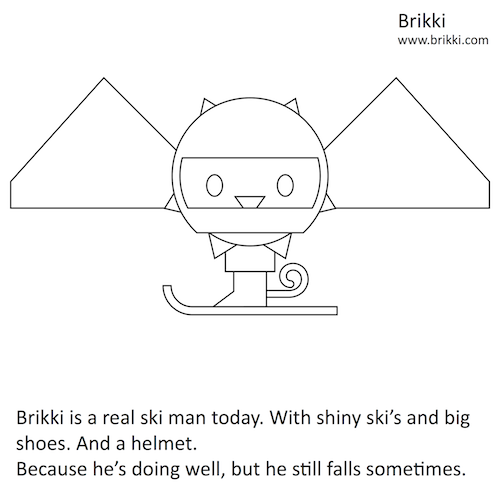 These ones were made by Anna (2 years old), with a little help ;).